Roja Ramani was born in Rajahmundry. Her father was 'Cinema Rangam' Satyam. She selected for the title role of 'Bhakta Prahlada' at the age of 5. She done climax scene as her first scene. She got that offer because of AVM Studio's in-charge Nageswara Rao and Rangoon Rama Rao, the co-director of the film. In that movie, S.V. Ranga Rao prtrayed as Hiranya Kasipa. Chitrapu Narayana Murthy was the director. Dr. Sarvepalli Radhakrishnan, the President of India at that time, was seen 'Bhakta Prahlada' and appreciated the performance of Roja Ramani. He didn't believe when he knew 'Prahlada' was not a boy, but a girl. He given appreciation cerificate to Roja Ramani. She got Best Child Artiste award from State Govt. and took the award on the hands of Kasu Brahmananda Reddy, the Chief Minister of that time. 'Bhakta Prahlada' got Best Regional Film award in National film awards also. After that film Roja Ramani played good roles in the films like 'Sridevi', 'Sattekalapu Satteiah' and 'Chinnari Papalu' as a child actor. She did her first film as heroine was in Malayalam. That's 'Chembarathi'. It created sensation in Kerala. She took filmfare award as Best Actress for that film, at the age of just 13 years. It's record of that time. She was the heroine even the Telugu version of the film 'Kanne Vayasu' and Tamil version 'Paruva Kaalam'. The song 'E divilo virisina paarijaatamo' in 'Kanne Vayasu' was so popular even today. She acted as full pledged heroine in K. Viswanath's film 'O Sita Katha'. That was trendsetter. It got so many awards to Raja Ramani. She gained good name with the films 'Bharatamlo Oka Ammayi', 'Evariki Vaare Yamuna Teere' and 'Balipeetham', the three were directed by Dasari Narayana Rao. She acted as female lead in 50 movies approximately in Telugu, Tamil, Kannada, Malayala, Oriya and Hindi languages. 'Punaadi Raallu' was her 100th film, which was first of Chiranjeevi. Roja Ramani married Chakrapani in 1981 at the age of 22 years. They both acted together as lead pair in 5 Oriya films, earlier. Theirs was love and arranged marriage. 'Maga Dheerudu', the Chinranjeevi starrer, was the last film of her as an actor. What the spciality of her career was, she acted in 'Tatamma Kala', directed by N.T. Rama Rao, in a tele film 'Kamakshi Katha', directed by Bhanumati and in 'Chinnari Papalu', directed by Savitri. After said good bye to 18 years of acting career, Roja Ramani entered into Dubbing field in 1983. She has given dubbing to more than 400 films in a span of 20 years. She has given her voice to female lead in almost all the films. She stopped dubbing after given the voice to Tabu for 'Chennakesava Reddy'. But when M.S. Raju, the producer, asked her to give voice to Geeta in 'Nuvvostanante Nenoddantana', she couldn't hesitate. That was her last film as dubbing artiste. Because of turned to an actress in childhood, there was no necessity of chance to study. When she was acting in 'Bhakta Prahlada', the AVM people arranged tuitions to her for education. She studied privately like that. Very sorrowful moment of her was death of Kue, the pet dog. It's a Sail Burner, the Russian Breed. She have a actor son Tarun and a daughter. Synopsis: Set on the backdrop of Australia, the story begins with the happy go lucky Chandu (Gopichand) whose only aim in life seems to be to get into fight given his martial arts and fitness skills. However, action doesn’t happen but love happens to him when he sees Mahalakshmi (Trisha) and since then he chases her. Finally she gives in but not before her aunty comes and takes her back to India. Mahalakshmi is the daughter of the dreaded Pasupathy (Kota) in Rayalaseema region and he has got his staunch enemy in Sivaiah (Sathyaraj) who is considered as god by the locals. The interesting bit is Chandu happens to be the son of Sivaiah but he doesn’t know that until he comes to India to take Mahalakshmi. The father and son meet and what happens from there forms the rest of the story. Cast: Gopichand, Trisha, Satyaraj, Chandra Mohan, Kota Srinivasa Rao, Supreet, Dharmavarapu Subrahmanyam, Vunumadhav, Ali, Krishna Bhagawan, L.B. Sriram, Ahuti Prasad, M.S. Narayana, Benarjee, Sita, Fish Venkat. Pingali Nagendra Rao was born on 29 December, 1901 at Rajaam near Bobbili. His parents Gopala Krishnaiah and Maha Lakshmamma. He completed Mechanical Engineering from National College at Machilipatnam. 1918 - He completed his studies and joined in Railway Workshop as apprentice in Kharagpur. 1920 - He resigned his job and started tour to North India. 1923 - Kouta Rama Sastri was started a magazine 'Sarada' in Bandar. Pingali was joined in it and took an active part in publishing. At that time he translated D.L. Roy's stage plays 'Mewadipatan' and 'Pashavi' and those published by Krishna Patrika. Pingali's own plays 'Jebunnisa' and 'Vindhya Rani' were published in Krishna Patrika and 'Raraju' in Bharathi. Those plays were played on stage by D.V. Subba Rao, the famous stage personality. After closing of 'Sarada', Pingali joined in Indian Dramatic Company, owned by D.V. Subba Rao, as Secretary. He was continuing in that job till 1946, when he got the film offers. Pingali's plays 'Naa Raju' and 'Vindhya Rani' were very popular in those days. He was written dialogues and songs for the movie 'Bhale Pelli'. That's the beginning of Pingali in film world. N. Jagannath and Durga Nageswara Rao produced the film. 1946 - The shoot of the film 'Vindhya Rani', which was based on his play, started. 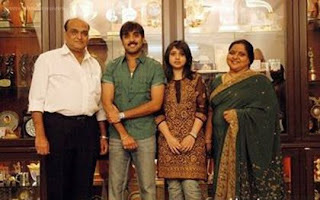 Vyjayanthi Films, owned by Durga Nageswara Rao, produced it with the co-operation of Gemini Studio. At that time, Kamalakara Kameswara Rao took Pingali and introduced him to K.V. Reddy, the top director. Reddy given him the responsibility of the dialogues and songs for the movie 'Gunasundari Katha'. Audience liked the songs and dialogues instantly. Pingali worked as a permanent writer to Vijaya Pictures and written to the films like 'Patala Bhairavi', 'Chandraharam', 'Maya Bazar', 'Jagadeka Veeruni Katha', 'Satya Harischandra' and 'Uma Chandi Gouri Sankarula Katha'. He was written the songs for the films 'Missamma', 'Appu Chesi Pappu Koodu' and 'Gundamma Katha' mady by Vijaya Pictures. Pingali worked as a writer for the films like 'Pellinati Pramanali', 'Sri Krishnarjuna Yuddham', 'Mahakavi Kalidasu', 'Mahamantri Timmarusu', 'Sri Krishna Vijayam', 'Sri Krishna Satya' and 'Neeti-Nijayiti', made by the outside production companies. Pingali's dialogues were so popular as his songs. Mainly people remembered his dialogues in 'Patala Bhairavi' and 'Maya Bazar' even now. The matchless person died on 6 May, 1971.